“In 2010, Americans were prescribed 258 million courses of antibiotics, a rate of 833 per thousand people. 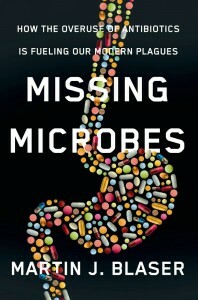 Such massive usage, billions of doses, has been going on year after year.” or so says Martin Blaser who has written a book (“Missing Microbes: How the Overuse of Antibiotics is Fueling Our Modern Plagues” published by Macmillan on the overuse of antibiotics and its impact on our health. The book’s key concepts are readily accessible in Blaser’s CNN commentary found here. Thanks to Jessica Green for tweeting the link to the CNN Commentary by Blaser. I deeply respect Martin Blaser’s science and his continuing work to interact with the public on microbe related topics. However, based on Martin Blaser’s discussions with the press about his work and his book, I am deeply skeptical of some aspects of the book. See for example my blog posts giving him Overselling the Microbiome awards http://phylogenomics.blogspot.com/2014/05/overselling-microbiome-award-time.html and http://phylogenomics.blogspot.com/2012/03/diabetes-hpylori-correlation-but-no.html. Also a discussion he had with Dr. Oz contains many inaccurate statements. Personally, I think we as a society are risking an enormous amount in the extent to which we use antibiotics. However just because I think that does not mean it is right and we need to be careful to tell the public when we are stating opinions and when we are stating evidence. Seems to me that Blaser is doing a lot of stating of educated opinions that he presents as facts. Selected excerpts from Alison E. Mather’s review of the Blaser book. I love new opinions and discussions. I very much dislike it when people present opinoins as facts. Blaser seems to be doing that way way too much. I don’t think it is uncommon for people in general (including but not limited to scientists) to believe that their knowledge (or opinion) is fact, whether it is or not. I am not even sure what a “fact” is. I do think I can often detect when something is an opinion. I know numerous scientists who believe that they know the “facts.” I know others who disagree with them, and I find that they all present seemingly convincing evidence for their beliefs. Can you summarize what you believe to be the facts relevant to the scope of Blaser’s research? I don’t know enough to offer an opinion. Since you seem to believe that you do know enough about “the facts,” that would be far more useful to me than just knowing you dislike what you perceive to be what Blaser has written, done or said, and/or was quoted as saying. More detail of my concerns is in the links I included in my earlier comments. Jonathan, thanks. here are your two referenced posts as complete quotes for microbe.net visitors. “Well, alas, Time magazine turned what could have been a story about the spread of antibiotic resistance into what appears to be a promotion for Martin Blaser’s new book: Antibiotic-Resistant Bacteria Are Now In Every Part of the World | TIME.com. Extinguishing our microbiome? Really? The evidence simply does not support such a claim. 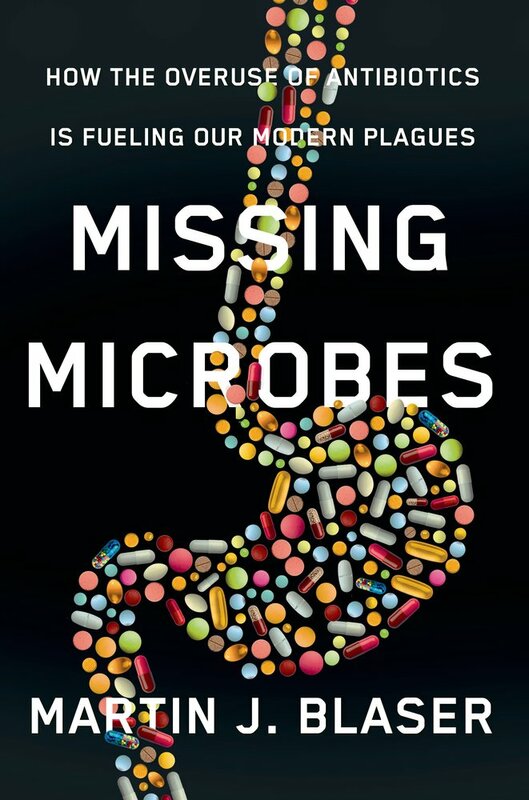 I personally think antibiotics may be contributing to messing up the microbiome in many people and that this in turn might be contributing to the increase in a variety of human ailments (e.g., I mentioned this issue in my TED talk and many many times here and elsewhere). But “extinguishing”? Not even close. In fact, many of the published sutdies done so far suggest that the human microbiome is pretty resilient in response to antibiotics. Really serious overselling of the impact of antiobitcs by Blaser. If I prescribe a heart medicine for a patient, that heart medicine is going to affect that patient,â€ says Blaser. â€œBut if I prescribe an antibiotic, that antibiotic will affect the entire community to some degree. And the effect is cumulative. Yes antibiotics can affect more than one person because microbes (and resistance) can spread. But “the effect is cumulative”? I do not think that has been shown. That may also help to protect our microbiomes, which in turn could slow the appearance of chronic diseases such as obesity, cancer and allergies. What? Now antibiotics cause obesity? And allergies? And cancer? Sure – there is good reason to think that antibiotic usage plays a role in obesity and allergies. The evidence is not yet completely overwhelming but it is certainly a reasonable notion. But how did cancer get thrown in here? Am having a hard time right now with the comments from the authors of this new paper showing a correlation between H. pylori presence and both type II diabetes and blood glucose levels. As far as I can tell, the paper does not show any causal connection. That is, they do not determine if H. pylori infection is a cause of blood sugar issues or a consequence of blood sugar issues. And they suggest that antibiotic treatment for the elderly may help prevent diabetes. This to be seems to be a bit over the top. [sic] Yes, it makes sense that H. pylori could cause these issues. And they have a model for how it might. But they really should be more careful with their words until a causal connection is established. After all, we have many well known negative effects of antibiotic overuse, including some shown by Blaser. The last thing we need is people going out and dosing up on antibiotics in the hope that it will prevent type II diabetes. But I can guarantee that is what will happen if this story gets overplayed. But I am worried that that is not enough skepticism to counteract the claims of the authors here. The study is certainly interesting. And their model for a causal connection is fine. But they probably need to do a little bit of toning down of their claims here. Helicobacter pylori is acquired almost exclusively in childhood , and there is no clear mechanism for how glucose intolerance present only after the age of 18 would increase risk of H. pylori colonization. It also is unlikely that H. pylori positivity and high levels of HbA1c levels share a mutual antecedent cause because there is no diathesis to both acquire H. pylori and to cause glucose intolerance. After reviewing this thread again, I wonder: “Overselling” in science is something you have both defended and decried in the past. Of course there are downsides. And of course there are differences between pursuit of a successful career in journalism and in science. I value your opinions and sometimes I wish they were more evident to me. Are you “overselling” your opinions (or even your version of the facts) by giving Blaser and Time Magazine the ‘Overselling the microbiome award’ on your blog?